There is quite the buzz surrounding the 1,000+ acres of (Skinner) land being developed at the corner of 295 & JTB! April 8th – Here is your chance to sit in, learn more and get your questions answered. 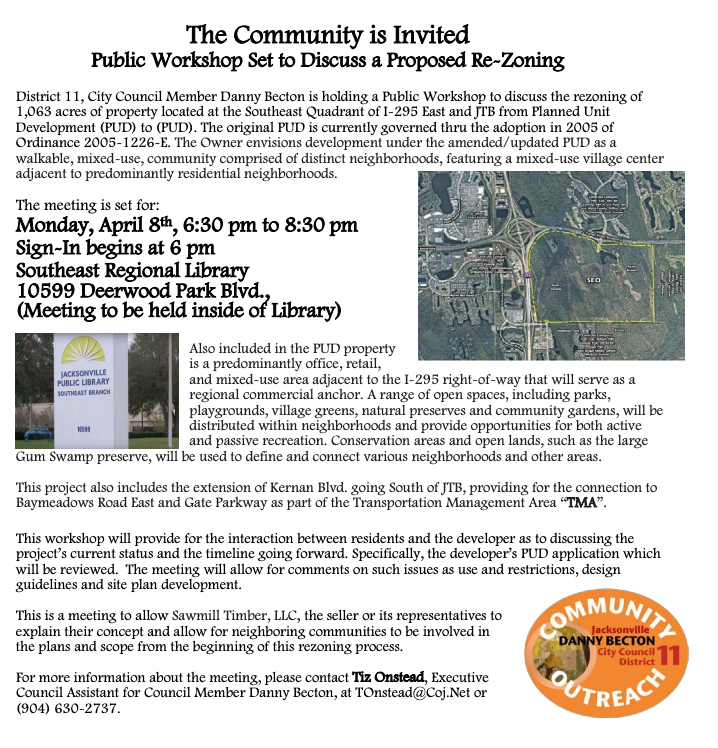 Hosted by Council Member Danny Decton, this public workshop is SURE to draw a crowd. My team and I attended the previous (more intimate) meeting at the Realtor Association and let me tell you- this project will be the next big thing in Jacksonville. Let me know if you have any questions on this project or any other upcoming developments in JAX. When you think Real Estate, think Hughes Group Jax.